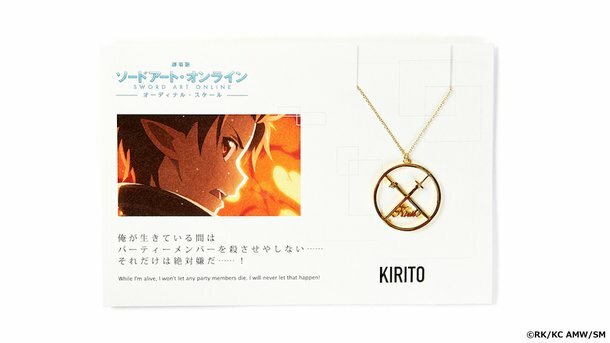 Kirito, Asuna, and Sinon's Weapons Presented as Brilliant Gold Necklaces! 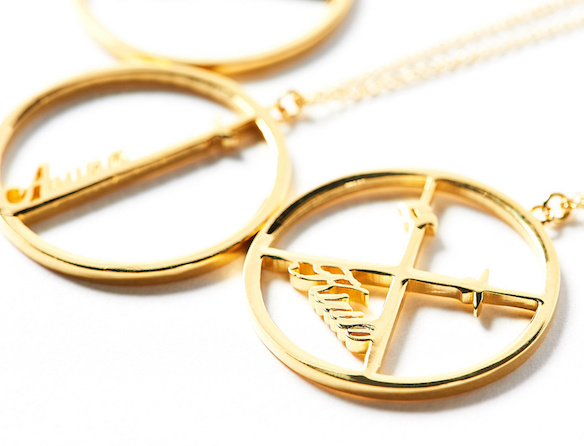 Part three of the Sword Art Online × Tokyo Otaku Mode collaborative merchandise project features exclusive necklaces that will be available to fans around the world. 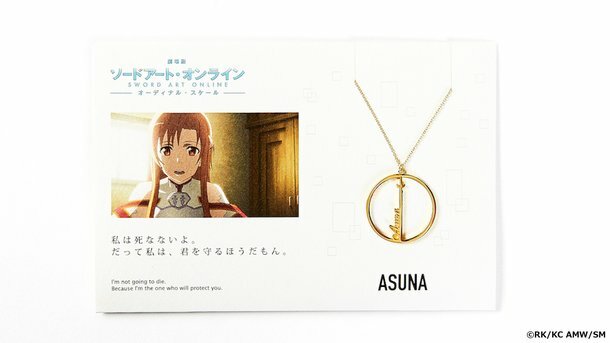 The Sword Art Online 5108 (Kotoba) Necklaces are manufactured by 5108, an original accessory brand that has produced other anime accessory collaborations. There is a Kirito, Asuna, and Sinon model available. Each model is based on the character’s preferred weapon, and features their name in English. 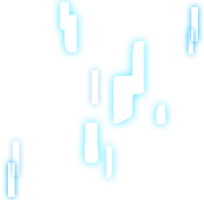 The elegant designs are sure to appeal not only to fans, but also to a wider demographic. 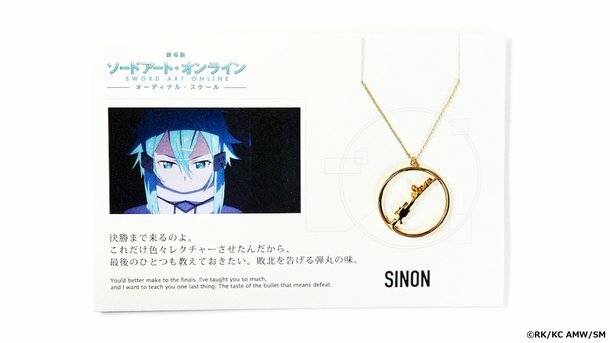 Each necklace comes with a postcard-size display card that contains dialogue (printed in both English and Japanese) and a screenshot from a memorable scene. Fans can wear their necklaces or keep them for display. *Oversea shipping fee and tax included in the price. The display cards are approximately the same size as regular postcards.